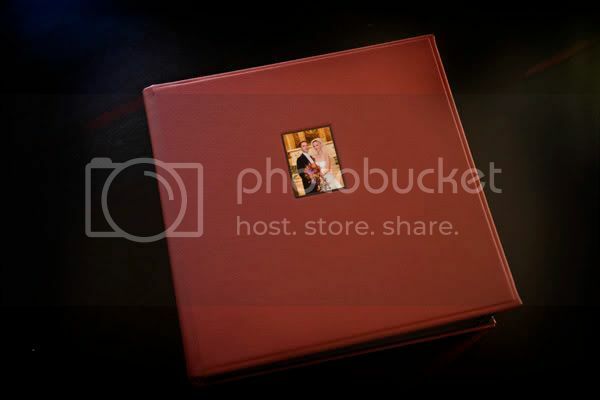 Today I sent out a beautiful Queensberry matted album to my lovely clients from last October 7th, Laura & Michael. 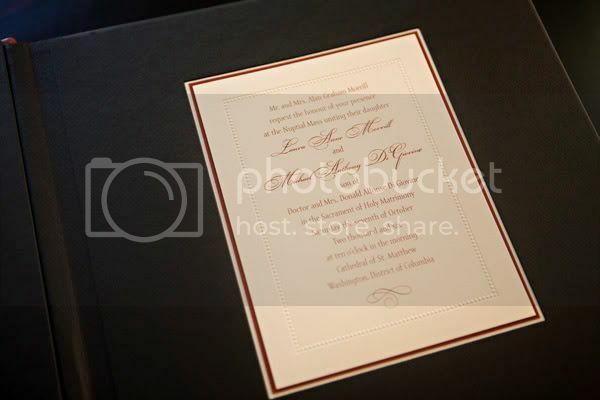 They had a gorgeous ceremony at the very famous St. Matthew’s Cathedral in Dupont Circle in D.C. This is where JFK’s funeral was held. Afterwards it was off to the Capitol for a few pictures and then to the Cosmo’s Club for a really elegant and fun reception. Here are a few tidbits from their album. They chose the leather cover in “cherry” to match the color of the bridesamaid dresses. We decided to mount their invitation on the 1st page. 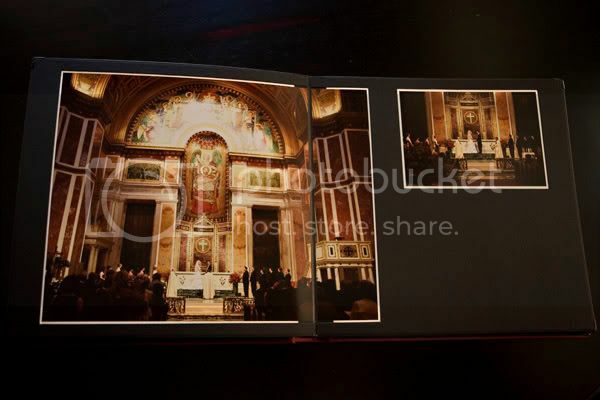 It was important to Laura and Michael that the vastness of the church was highlighted in the album so we did a panormic spread. Queensberry gives you the option of doing these great flip out pages. I LOVE the Queensberry albums! That one looks beautiful! Great cover! Justine, you are doing some marvelous work! Thanks for the comment on me blog, it’s nice to see such a talented artist viewing my work. God Bless. I love the photographs on the left side of the last page your show. They are incredible!